How long is the warranty of watches and sunglasses? All of our products have a 3-year warranty from the date of delivery, which covers errors or defects due to manufacturing. For more details, see Warranty. Can I return the product I ordered? Yes sure! If you're not happy with your purchase, you can send any unworn item back to us within 100 days of the delivery date and we will refund your hard earned money. Please contact us info@aarniwood.com if you like to return or change your product and we are happy to help you. Yes, we deliver products all over the world. And best of all, the standard delivery is free for you. However, we are not responsible for possible country-specific customs duties and taxes that may occur when the product enters a non-EU country. You can also choose extremely fast DHL Express delivery method at checkout. For US customers: Our products' values are under the clearance threshold so there won't be any extra costs for you when the shipment arrives to the US. All orders will be shipped within 1-2 business days after placing the order. Standard delivery time within Europe is typically 3-6 business days and 6-12 business days for orders outside Europe. 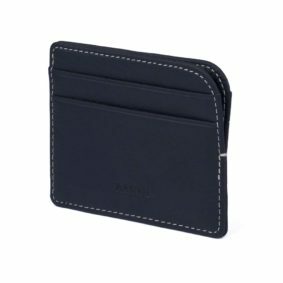 What payment methods can I use in an online store? 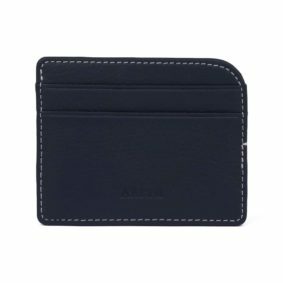 In our online shop, you can pay for your order using common credit cards or through PayPal. For more details, see Payment. I couldn't find the answer to my question here, what should I do? Just send us a message or email info@aarniwood.com and we are happy to help you! How do I adjust the watch band to fit my wrist? Aarni Watches are made to fit all wrist sizes. The wooden strap can be easily adjusted to just your size by removing or adding band links. Each watch is supplied with extension links and small screwdrivers that allow the to be adjusted conveniently at home, too. The video shows you how to adjust the length. If you need more links, just send us a message and we are happy to send you extra links. Aarni Watches are equipped with high quality and precise Swiss movements (ETA, Ronda) or Japanese Miyota Quartz movements. You can find the specific movement details on product pages. What type of wood is used to manufacture the watches? We use only high quality sustainable wood. The specific wood type depends on the model and may range from Ebony, Curly Birch and Walnut along many other premium wood materials. The wooden parts are treated lightly with wood treatment oil to maintain natural shine and moisture. Our watches are assembled at a family-owned factory in Shenzhen, China. We visit the factory on a regular basis. The choice of factory, responsibility and quality have been very important factors for us from the beginning. We are happy to say that the working environment and conditions are excellent at the factory. The employees’ working hours are fair and they receive a good remuneration for their efforts. Hence, employment contracts are long and the workers are the best in their field. The Finnish wood material is dried and sawn to blanks in Finland. Most of the movements come direct from the manufacturer in Switzerland. 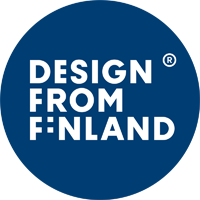 Design from Finland mark has been granted for our watches as a symbol of Finnish design. Are spare parts available for the watches? Spare parts are available. If you need any additional parts, or any other help, please contact us at info@aarniwood.com and we are happy to help. Can Aarni Watches withstand water? The market leading structure of Aarni Watches guarantees that the movement will be safe from water and dust (3 ATM). You don't have to worry about water accidents in everyday use. Just remember to leave the watch on a table before taking a shower or sauna. Do I need to get the watch serviced? The battery of quartz movement will last for 2-8 years, after which it is possible to change it yourself or at the nearest watch shop. Wooden parts are treated with natural wood treatment oils, so the wooden parts themselves do not require any special maintenance. However, to retain the wood's natural shine and moisture, we recommend treating the wooden parts with natural wood treatment oil yearly. What lens do you use on sunglasses? We use CR39 and polycarbonate lenses in our sunglasses. Both lenses have great optical properties and they are also very resistant to scratches and shattering. 100% protection against UV radiation comes with the package of course. Many of our models are also polarized (see specific info on product pages). Polarization eliminates reflections from horizontal surfaces such as water, reducing glare in bright sunshine. Are all models of the same size? All Aarni Sunglasses are designed to be unisex and unisize. Sunglasses possess classic design proportions and good fit for different faces, making Aarni sunglasses look good on your face for many sunny years to come. Stainless steel spring loaded hinges make temples fit perfectly for different sized heads. Where are the sunglasses manufactured? The sunglasses are manufactured in a workshop on the outskirts of Shanghai. The factory is especially specialized in the use of wood material. They invest heavily in product development and equipment, which is also reflected in the end-product. 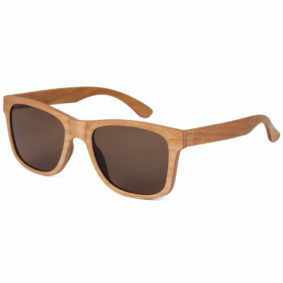 We are proud to be able to work closely with them and continue developing the finest wooden sunglasses in the world. Our partner employs about 30 people, mostly in product development. 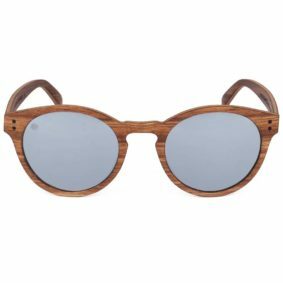 What wood is used for sunglasses? 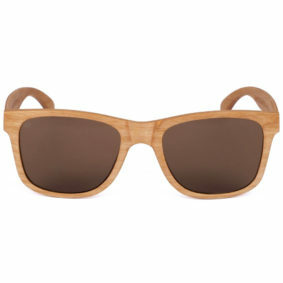 For sunglasses we use only high-quality sustainably grown wood. 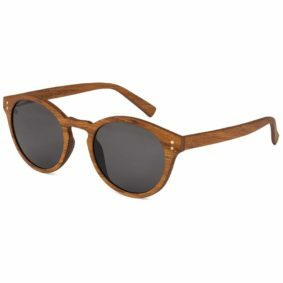 The wood types we use, depending on sunglasses model include dark walnut wood, zebrawood and ebony for example. Please see the product page for more information. The wooden parts are treated lightly with wood treatment oil to maintain its natural shine and moisture. 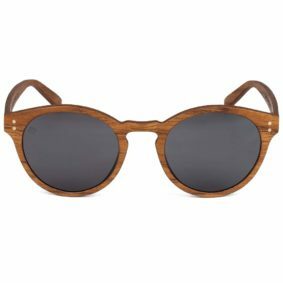 How to take care of my Wooden Aarni Sunglasses? All sunglasses are delivered with a handy cork case to protect your glasses from hits and a microfiber cloth to make cleaning the lenses easy for you. Wooden parts do not require any special care, but to preserve the wood shine and we recommend a treatment with wood treatment oil each year. 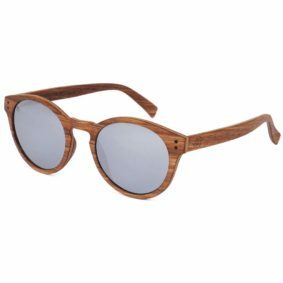 Please note that long-term exposure to excessive heat may cause dryness and cracking of the wooden parts, so we do not recommend leaving the glasses, for example, in a hot car for a long time.